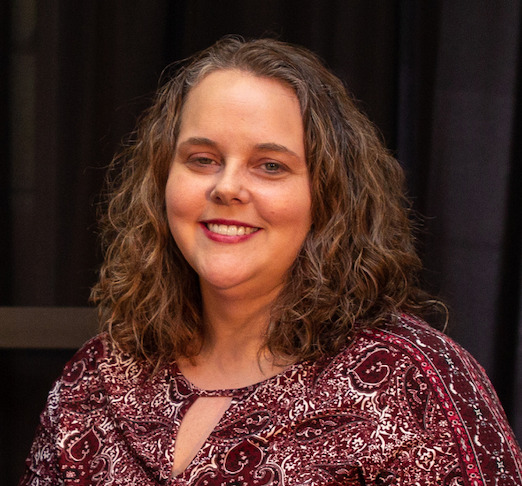 Dr. Gina Bowlin's early social work career included 8 years of medical social work for hospice and home health, during which time she earned her Master of Social Work (MSW) in 2007. She transitioned into higher education leadership and served at a private institution of higher education for 10 years, quickly earning the position as chair of her department within her first year. She became the director of the undergraduate online program and the dual credit program at her institution during her fifth year. Dr. Bowlin continued to teach human services courses at the undergraduate level, both in-seat and online, during this ten-year span. She also had the opportunity to hone her academic administration expertise in many areas, including faculty collaboration and supervision, program creation and assessment, online curriculum design, and regional accreditation reaffirmation. She earned her doctorate in 2012 in Educational Leadership with an emphasis area in social work. She has attended and presented at several conferences and holds research interests in human rights abuses, spirituality in social work, and mental health. She is a member of the National Association of Social Workers (NASW) and North American Association of Christians in Social Work (NACSW). Dr. Bowlin returned to clinical work full-time in 2018 where she now practices as a certified therapist in a hospital setting. She engages in patient assessment, conducts individual and group therapy, and collaborates with the medical team in decision-making related to patient care. She brings this expertise into the classroom at Walden University in the MSW program. Bowlin, G., Lawson, C. (2018). Integrating and Assessing Metacognition as a QEP. Association of Independent Kentucky Colleges and Universities (AIKCU). Bowlin, G. L. (2017). Pursuing Excellence in the Online Classroom: The Challenges and Rewards of Mentoring Metacognition in Asynchronous, Online Courses. University of the Cumberlands. Bowlin, G. L. (2015). Student Responses to Genocide and Human Violence. End Violence Against Women International. Bowlin, G. L. (2011). Living with Grief: Spirituality and End-of-Life Care. Hospice of the Bluegrass. Bowlin, G. L. (2011). The Genocide Knowledge Inventory. University of the Cumberlands. Bowlin, G. L. (2004). Working with Grieving Families. Whitley County Health Department.